Saturday August 30th – Dunewood Labor Day Tennis “Open”. Sign-up sheets are located at the entrance to the tennis courts. Teams will be RANDOMLY chosen consisting of one A & B player on Friday night September, 1st. The tournament starts at 9:00 AM Sharp! Trophies will be awarded to the winning and runner up teams. From left to right: 2015 Finalist: Rich Perna & Rich Roth. 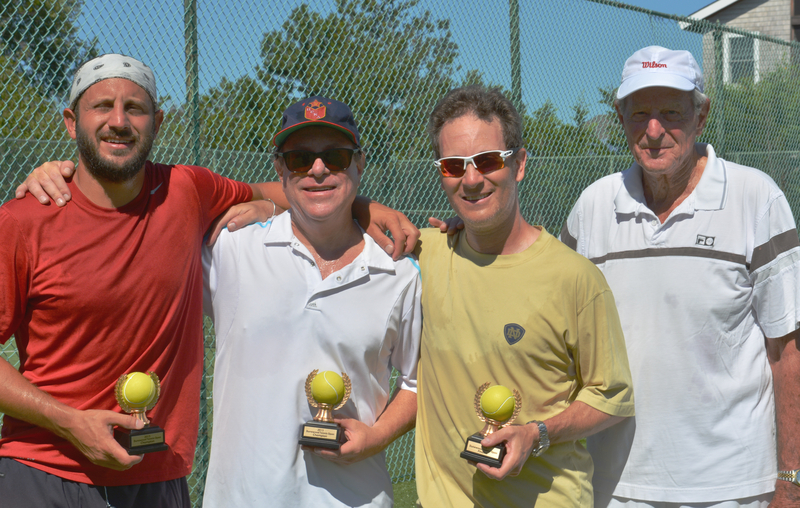 Runners up: Peter Taub & Bob Stone.